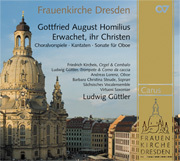 Gottfried August Homilius: Christmas oratorio. 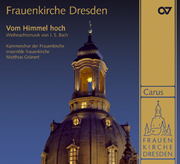 "Die Freude der Hirten über die Geburt Jesu"
The fifth anniversary of the consecration of the Dresdner Frauenkirche will occur on 31 October. 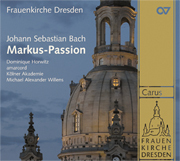 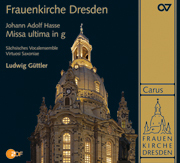 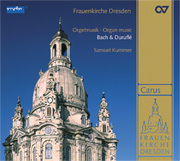 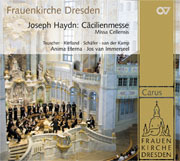 To mark this occasion Carus presents the musical highlights from the CD series entitled Musik aus der Frauenkirche Dresden. 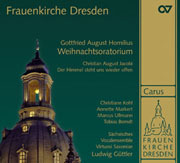 The recordings in this series not only document the rich musical tradition which has been reborn in the Frauenkirche, but they are also works of art in sound. 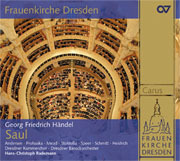 Thus this exclusive series, which in the meantime numbers a total of 18 CDs, has been given great acclaim in the press. 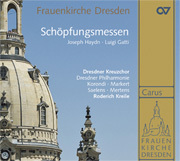 Authenticity and quality characterize the series to a special degree. 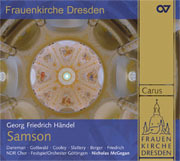 The artists most closely connected with the Frauenkirche include Ludwig Güttler, kantor Matthias Grünert or organist Samuel Kummer. 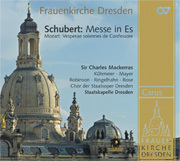 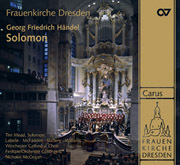 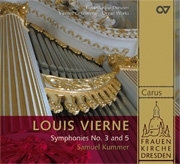 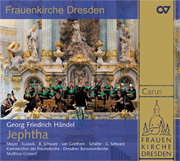 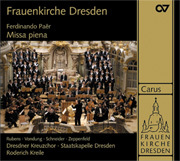 Recordings have also been made by the Dresdner Philharmonie and the Dresdner Kreuzchor, as well as the Dresdner Kammerchor, directed by, among others, the late Charles Mackerras and Hans-Christoph Rademann. 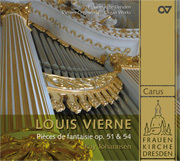 Renowned soloists, ensembles and conductors from all over the world, such as Jos van Immersell and Nicholas McGegan, round off the complete artistic picture of the Carus CD series. 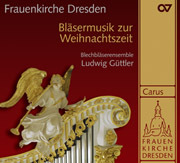 Aufnahmen sind nicht nur Dokumente einer mit der Frauenkirche wiedererstandenen reichen Musikpflege, sondern auch klingende Kunstwerke. 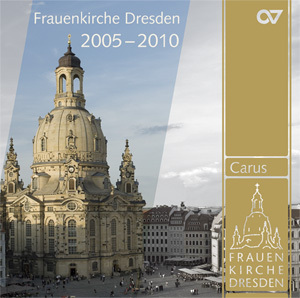 Authentizität und Qualität zeichnen sie in besonderem Maße aus.